It is important to have your chimney inspected to ensure it is stable and secure. 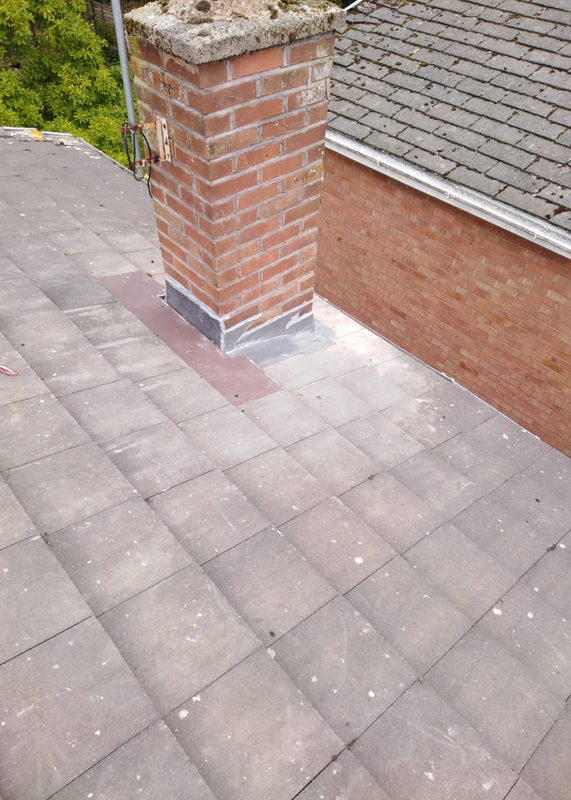 The chimney, being the highest point of the roof is under constant attack from the weather, and over time, the mortar between the bricks with crack and break. If left it will create instability of the brickwork and eventually may fall, which may damage the roof or anything on ground level i.e. vehicles or people. Chimney showing the mortar between the bricks is cracked, disintegrating and missing in places. 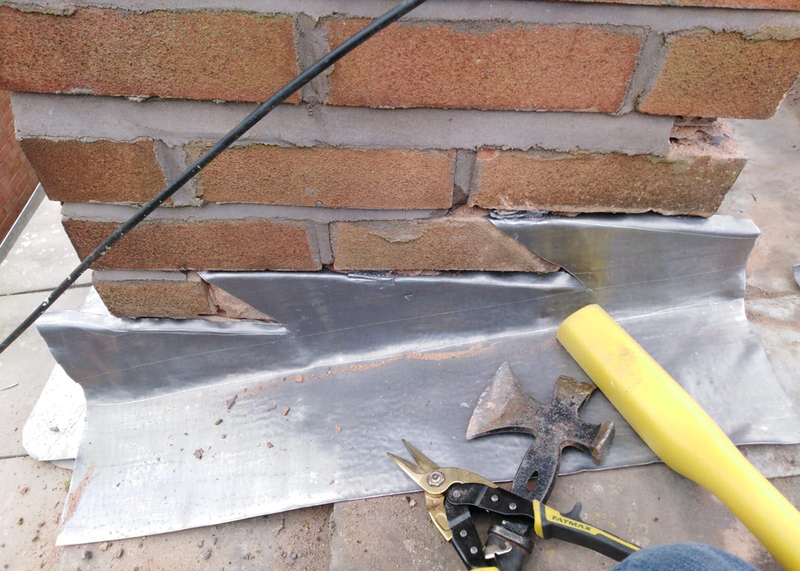 This leads to the bricks becoming unstable and will, if not repaired, cause the chimney to fall. All that is required is re-pointing. 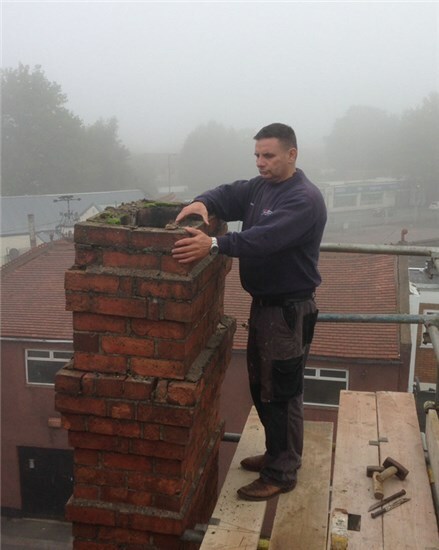 The chimney has now been re-pointed, creating the stability of the bricks. This repair should last many years. Unfortunately we often see cases of chimneys falling apart due to spalling, most often caused by cement mortar being used where lime mortar should be. 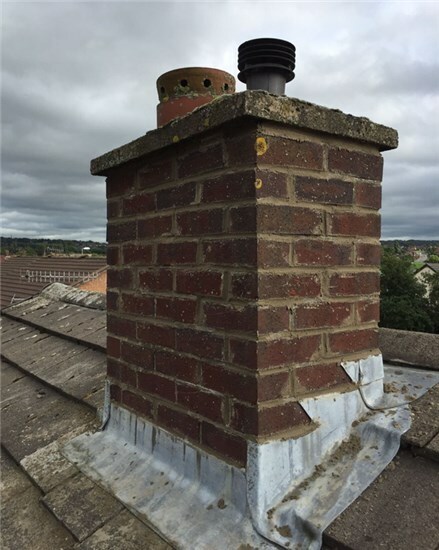 If your chimney has been incorrectly pointed with cement, we can remove the offending cement by grinding it out and re-pointing with the correct lime mortar. 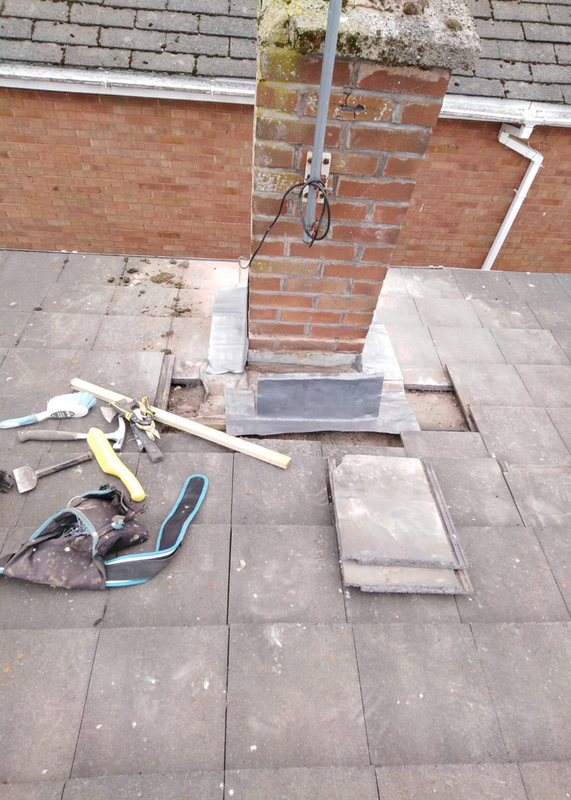 If you are worried your chimney has become unstable, we provide reactive repairs and maintenance using our powered access lifts. In most cases replacing defective bricks, or re-building the stack from a stable point will solve the problem. 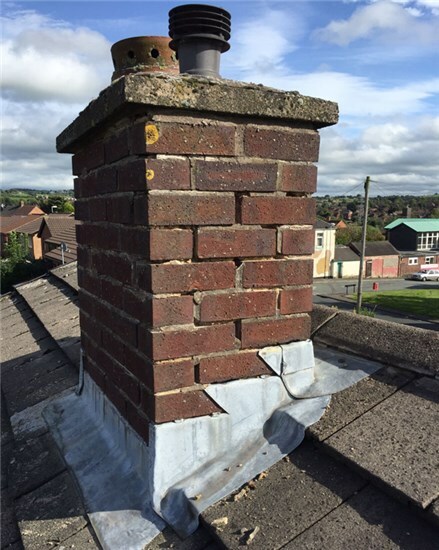 However an inherently unstable chimney stack, can be braced using a variety of methods. Regular sweeping is vital to remove blockages and soot. This prevents chimney fires and allows deadly combustion gases (Carbon Monoxide) to be safely vented through the chimney. Clean chimneys burn more efficiently, which will save you money, as well as helping to preserve the environment. By keeping an eye on the condition of your chimney, faults can be identified quickly and repairs can be made accordingly. Carrying our repairs as soon as they are necessary helps prevent larger and more costly problems down the line.